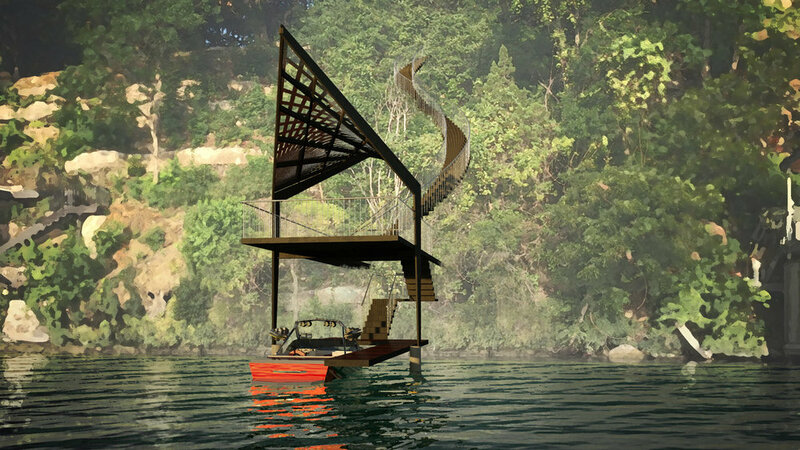 A meandering staircase tactfully winds through breaks in the sheer rock wall to access the single slip boat dock. Approaching, the hyperbolic paraboloid form- evocative of a ship's prow, a flying kite or an egret searching for food - all images one may encounter while enjoying a relaxing day on the water, becomes visible. A vessel is moored at water level with a second floor viewing area. A net of woven wood slats, sitting atop the structure, allows dappled light to reach the deck below. 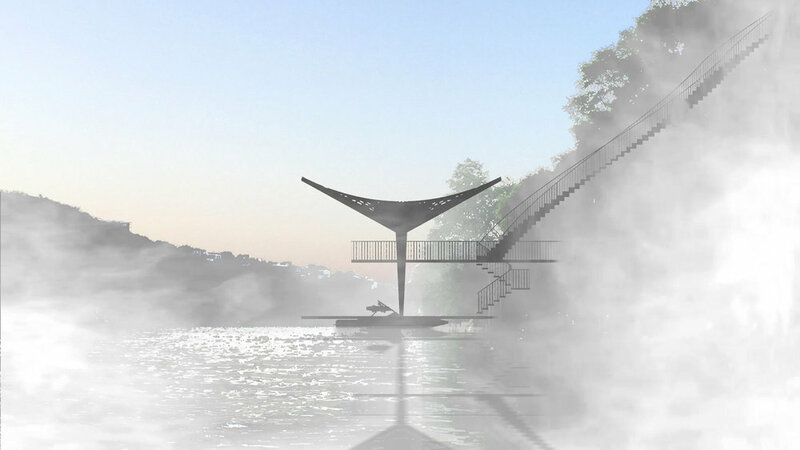 With just two vertical supports, this lightweight structure is intended to touch delicately on the site. “A rare bird said to have been seen occasionally upon the Cherokee reservation many years ago was called by the curious name of nûñdä-dikanÏ, “sun gazer.” It is described as resembling a blue crane, or little blue heron.” Taken from: Cherokee Heart - Legends, Myths & Stories.